In Coyame, Mexico, 1974, in the State of Chihuahua, an unidentified flying object (UFO) collided with a small plane. Both the U.S. government and the Mexican government responded to the crash. 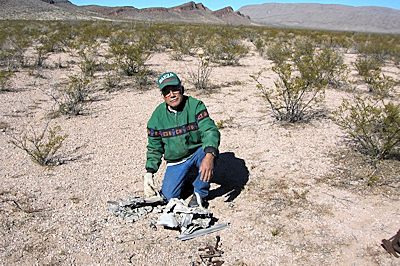 The series of events that followed would stay buried until the early 2000s when Mexico became a hotspot for UFO sightings and investigators flocked there, uncovering even more bizarre stories. On Aug. 25, 1974, a small plane lifted off from El Paso, Texas, heading toward Mexico City. While the small civilian plane continued on its heading, U.S. Air Defense Radar was tracking a UFO heading over the Gulf of Mexico towards Corpus Christi, Texas; this was at approximately 10:07 p.m. Traveling faster than 2,000 mph, the authorities assumed it was a meteor. But that changed when the object suddenly changed course. . . .